It was a few weeks ago that I started looking for some interesting Chinese classics to read, something authentically Chinese that could quench my fitful emotional and cultural thirst while being uprooted from my motherland on the other side of the Eurasian continent. Fortunately I have with me here a collection of Chinese books, all sober and beautifully paperback. This mini-library is small enough for the frequent relocation, but essential for the above-mentioned purpose. 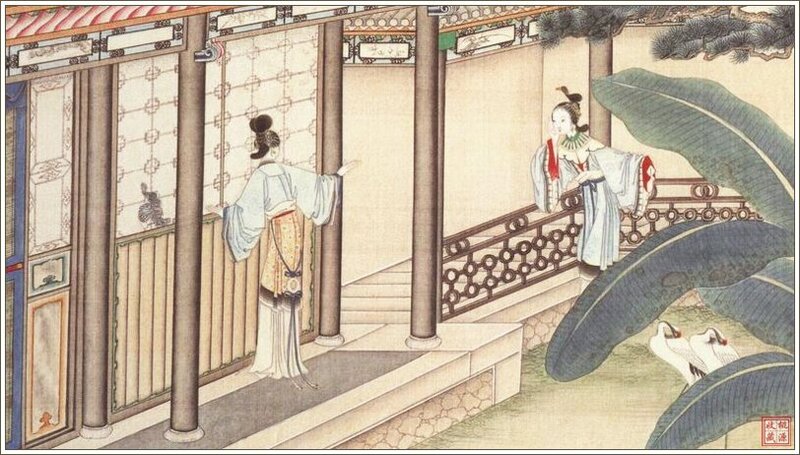 After checking out a few anthologies from the Qing Dynasty, despite the realistic setting and well-developed characters, I was not convinced by the preaching tone and overly-simplified cause-and-effect logic applied in most of the stories (which is actually very commonly seen in literature from that period of time). 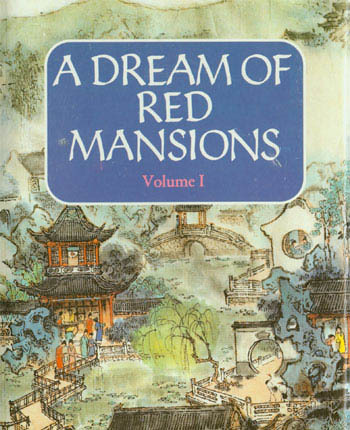 That was how I picked up “A Dream of Red Mansions” (《红楼梦》), the much reverenced classic. 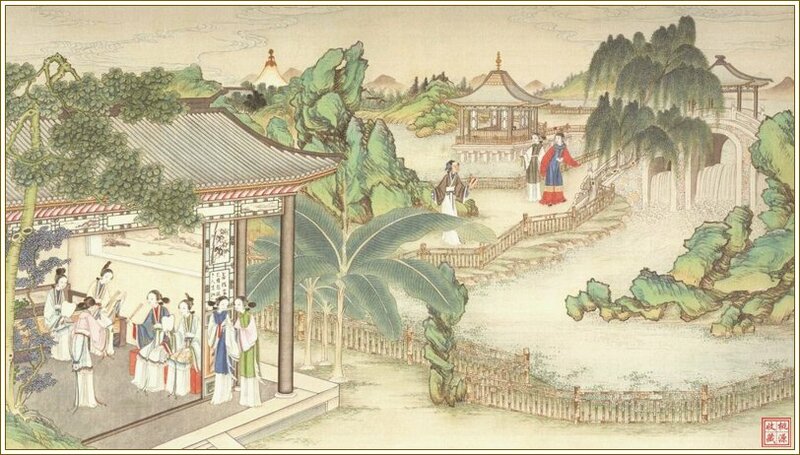 Paradoxically, like many western classics, “A Dream of Red Mansions” has become so distanced from the general readers that very few young people nowadays would actually think of reading it unless they have to, exactly because it has been given the highest praises and respect in the history of Chinese literature. As I started to read the first chapter, however, I was quickly drawn in by the light narration and intriguing plots. While reading I was remembering how we were forced to study in high school excerpts of the novel, and how the teacher would “guide” us in class to understand the many hidden meanings in just one scene. It was confusing and uninteresting at the time. Honestly, how much can a teenager understand the complexity of the adults struggling for a living in a gigantic aristocratic family hundreds of years ago? The complicated romantic and often sexual relationships between the hero and his many cousins and maids? And why would we care?… But now with my older eyes, I simply enjoyed reading it. I was marvelling at the richness of meanings of each word (“character” in this case), the multi-layer implications of the story, the expertly crafted plots which serve so well in so many purposes, especially in shaping each character. I discovered that this thousand-page novel (3 times of that in English) does not have to be a long and boring classic that we sit down and study seriously. In fact, it was originally written for people to have some fun reading and hopefully get some food-for-thought during their leisure time. 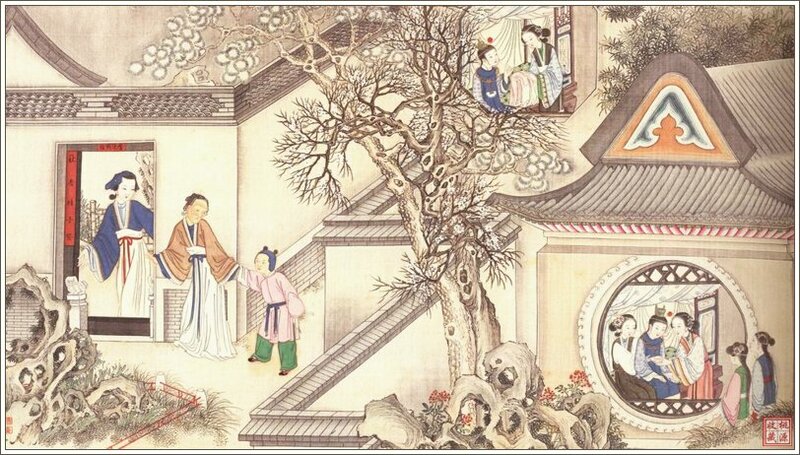 Like many other ancient Chinese novels, the goal of this book is to entertain people while slipping in some educational messages, but here it is done in a much more mastery way in so many aspects. Seeing that I was reading it, Giacomo also started reading the English edition we bought in Beijing, translated by Yang Xianyi and Gladys Yang. Due to the possibility of multi-layer interpretations on different levels – the names of the characters and places, the poems, and the dialogues, the mystical implication here and there, as well as the many suggestions even difficult for contemporary Chinese to understand in some scenes, one can only expect much would be lost in translation, no matter how well it is done. Different English editions would even have different names (it is also translated as “Dream of the Red Chamber”). For this reason Giacomo decided to read it while I am reading it, so that we can share our thoughts. There maybe clues better revealed in the English language which are not obvious to me as well. In the following related posts, I’d like to share some of my thoughts on things that are intriguing to me personally while reading this book. I will try to write it in a way that is comprehensible and hopefully interesting also for people who have not read the book. Of the three Greatest Classic Chinese Novels, this is the one I am least familiar with. I plan to read it someday, but first, I’ll have to find a copy first! It is not as easy to find as The Water Margin! Do you read them in English or Chinese? Translated books are way more affordable than imported (original) copy. Maybe because of the tax.